The Music I See, is a collections of pieces I made of musical instruments, the idea came to me when I was talking with a friend about how someone who couldn’t hear could still enjoy music. This idea has gone through many stages, I have use different mediums. 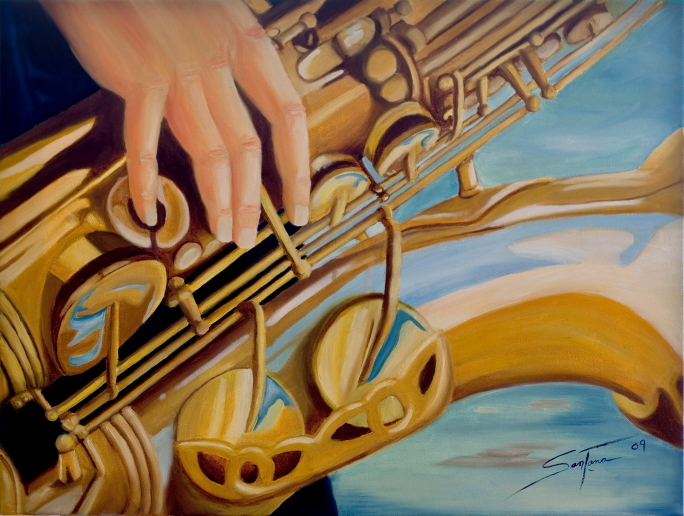 The first piece I made was the “Sax Player”, this came from a busker outside Union Station (Toronto), she made a great sound from her sax and I loved the way her hands were wrapped around the sax, very sensual! Although its not one of my favorites its one that was very important in the making of the rest of the series. 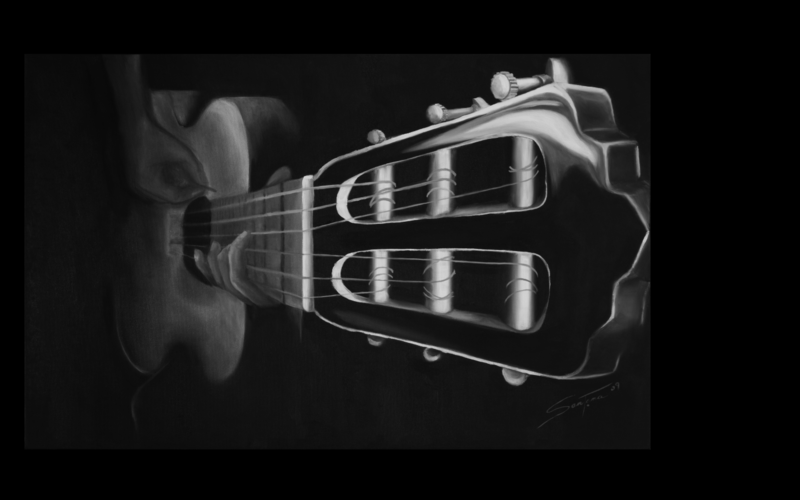 “El Guitarrista” (The Guitar Player) was something I tried for the first time, the illusion of foreshortening, I was very pleased. This piece was donated to Evangel Hall Mission(www.evangelhall.ca ) for a fund raiser. This piece is one of my favorites in this series, I’m happy to know it went to a good cause.